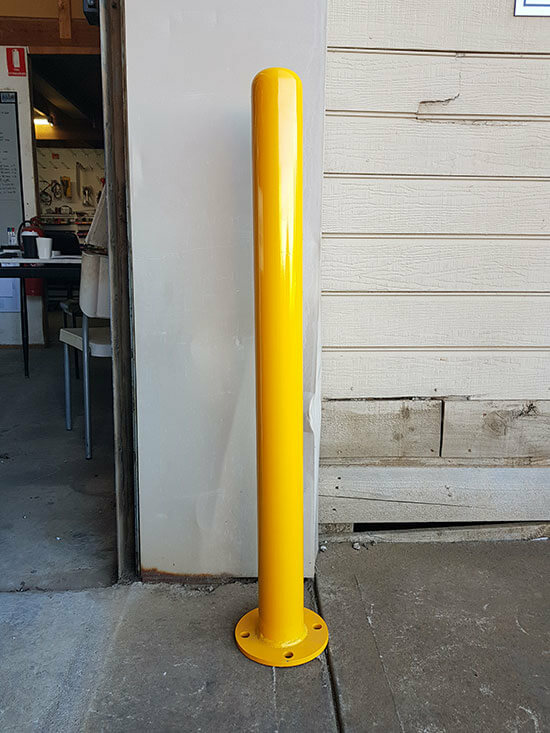 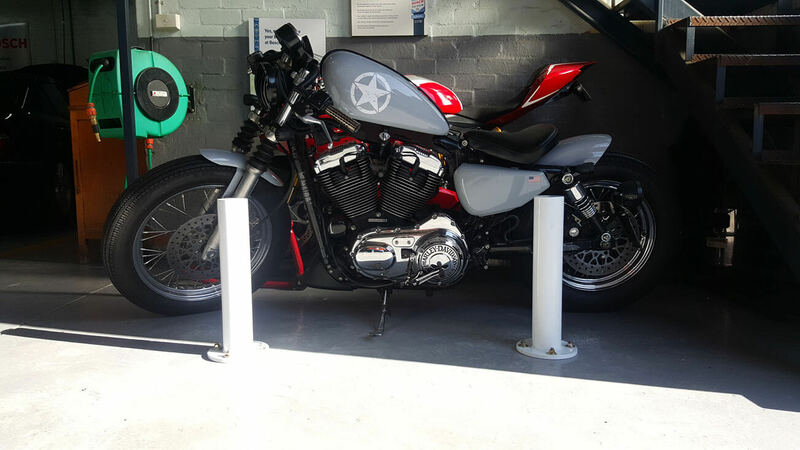 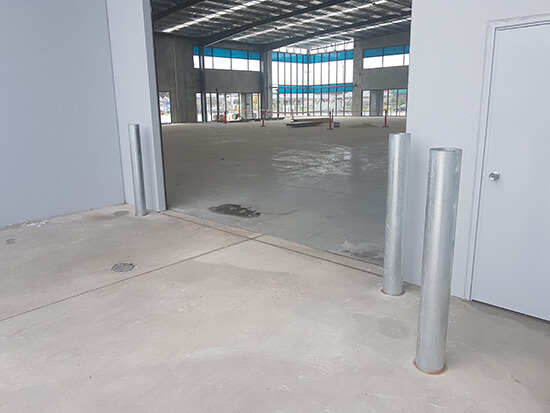 We can manufacture custom built bollards to your requirements. 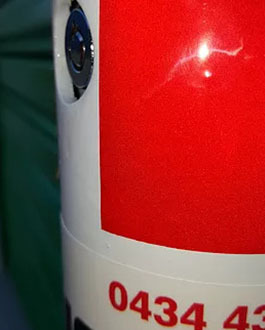 Custom colours are also available upon request. 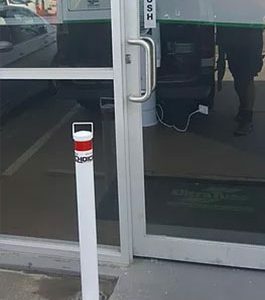 Our Anti Ram Raid Model. 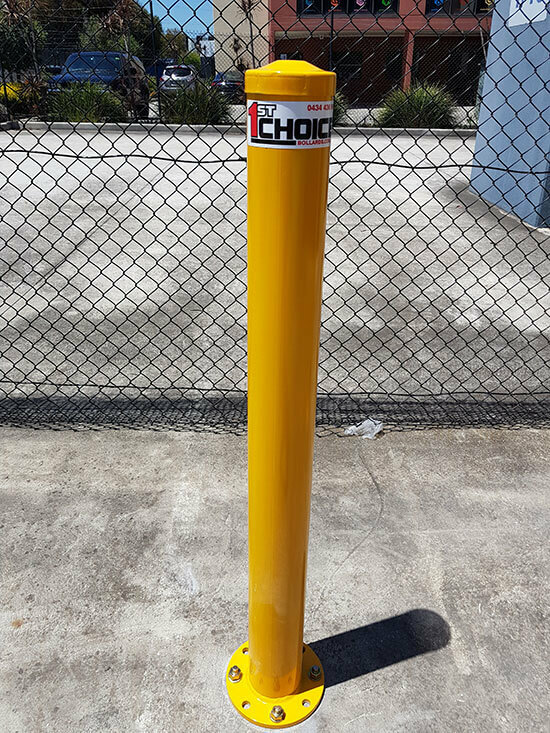 This bollard has an internal steel sleeve bringing total wall thickness to 10mm. 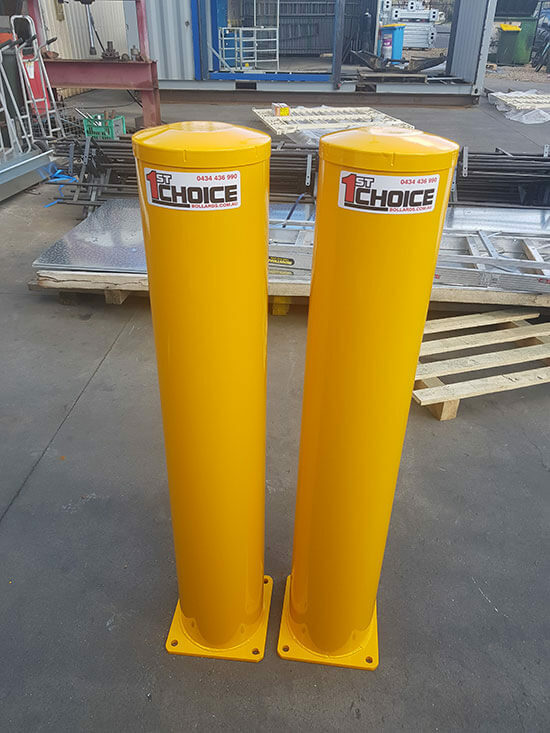 With a weight of 18kg these bollards are designed to offer higher protection from ram raids. 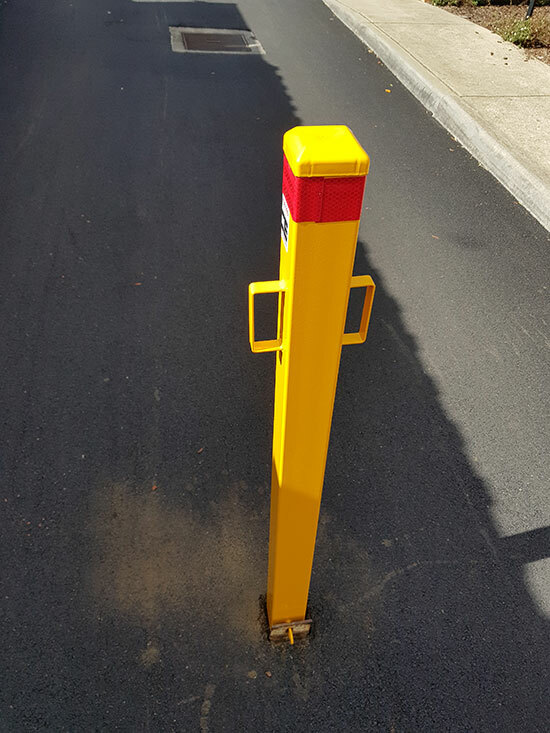 Our high-quality freestanding bollard is a removable model that can be installed anywhere in a concrete surface. 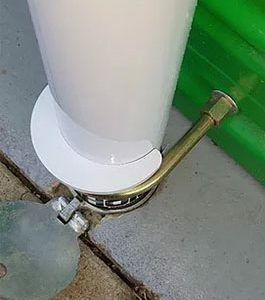 We simply drill a hole and use an epoxy glue to secure the in-ground sleeve. 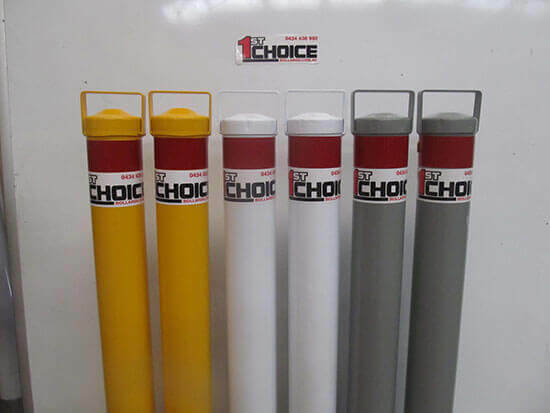 We use a dust/water extraction system when drilling to minimise any mess. 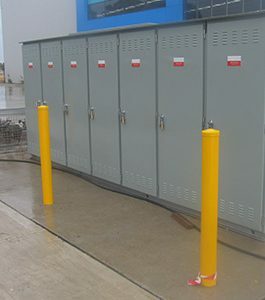 The glue is dry within 60 minutes and the keyed removable bollard model can be used the same day. 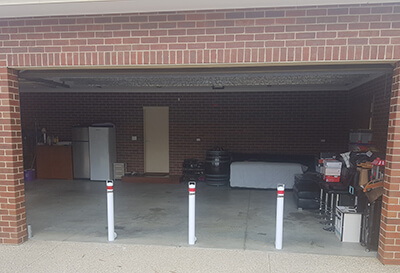 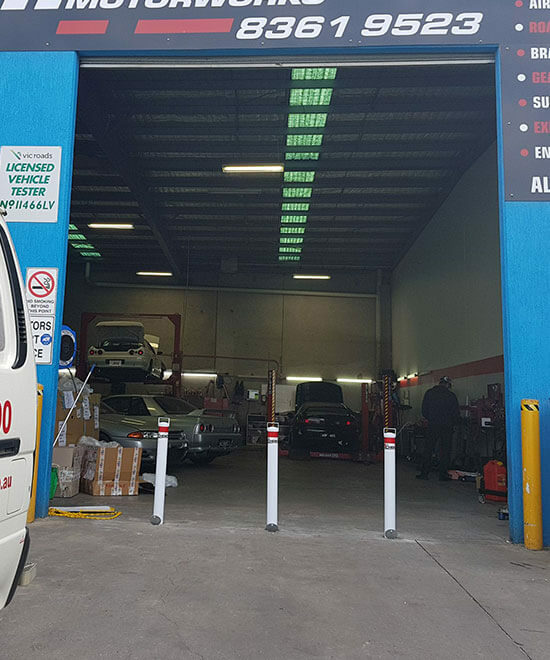 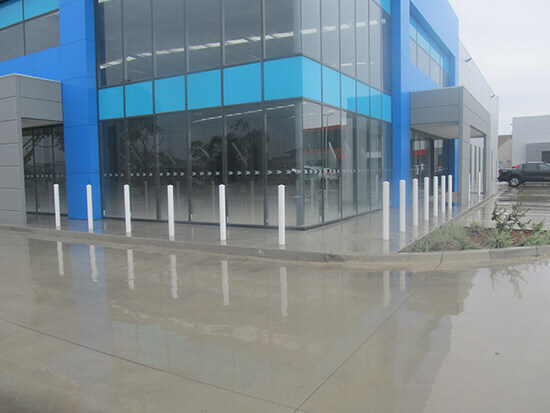 Our permanent bollards can be installed anywhere in a concrete surface. 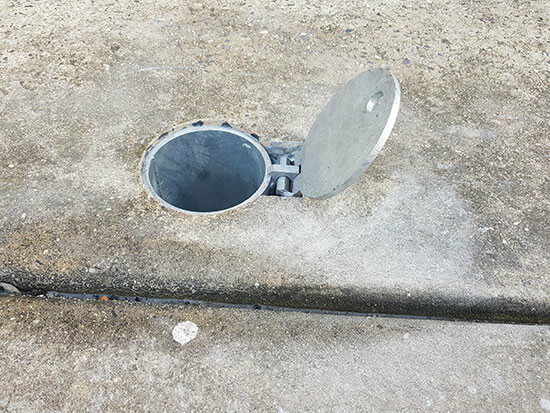 We simply core drill a hole approximately 300mm deep and use an epoxy glue to secure the bollard into the concrete. 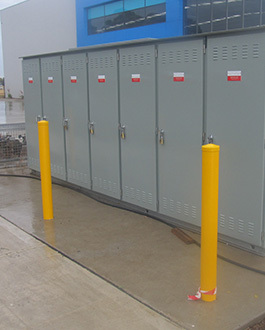 We can supply a range of sizes and colours ranging from 90mm up to 165mm outside diameter. 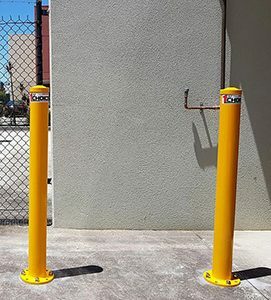 These bollards can later be filled with concrete for extra strength. 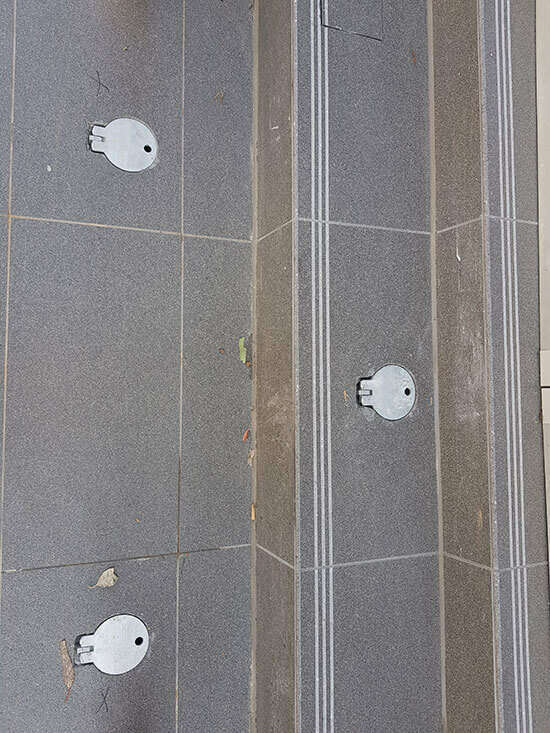 We can drill into all types of concrete be it plain, painted, exposed or tiled. 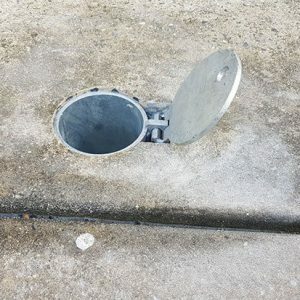 The cover plate when down fits flush with the surface eliminating any trip hazards. 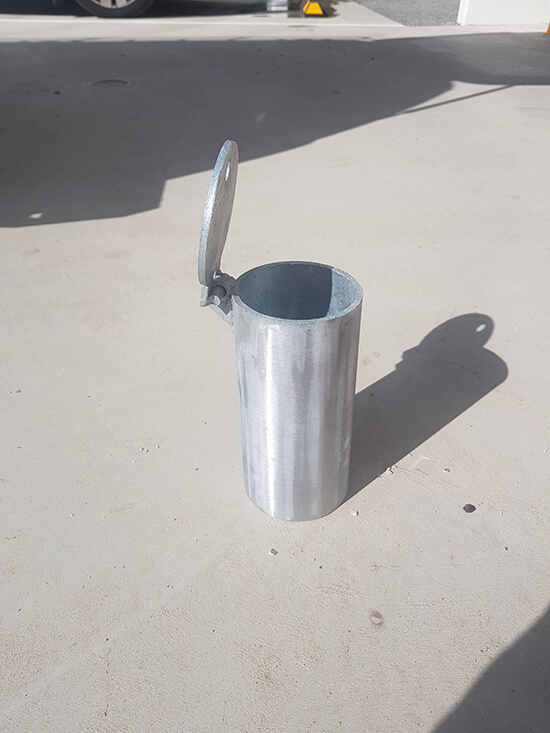 Our in ground sleeve is hot dipped galvanised to protect against corrosion. 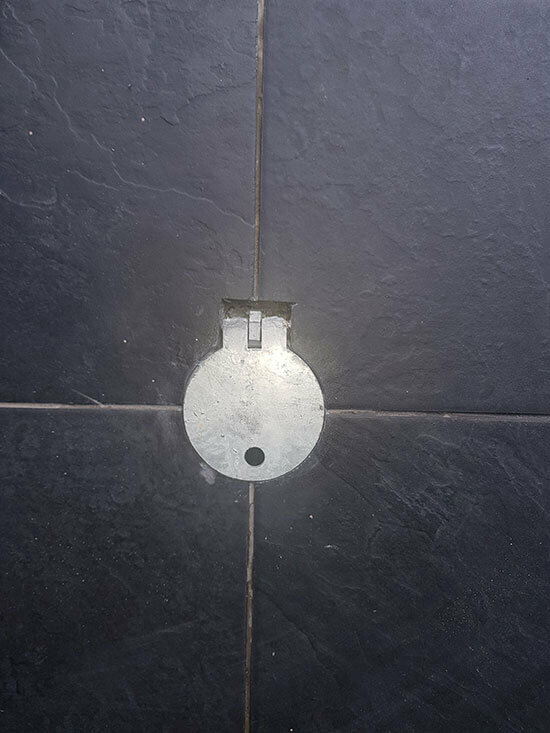 Our lock is recessed into the top of the bollard to prevent tampering. 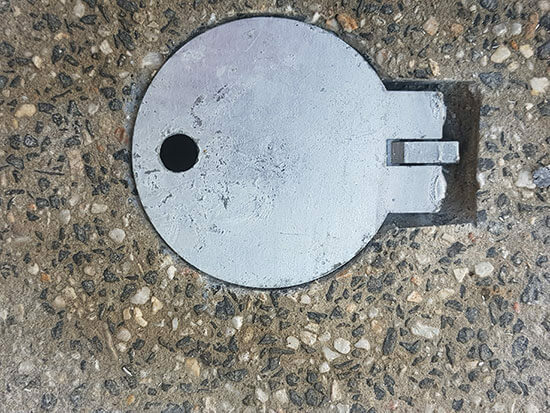 In the event of tampering the internal mechanism will lock the bollard further into the ground. 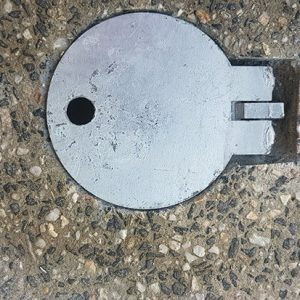 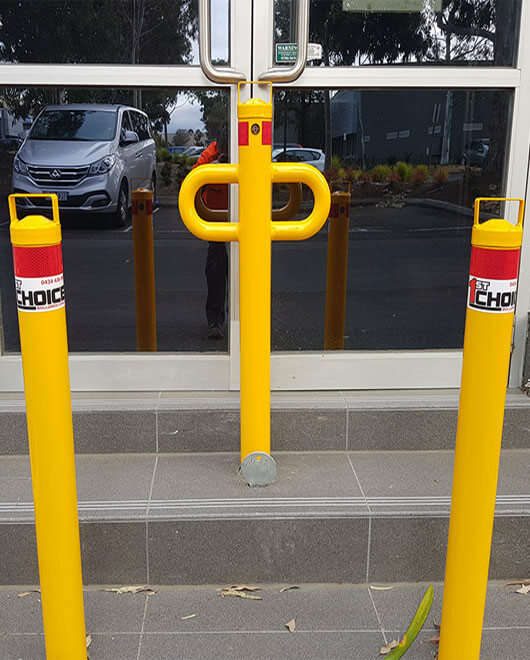 Our bollard self-locks into the ground and the key is only required to remove the bollard. 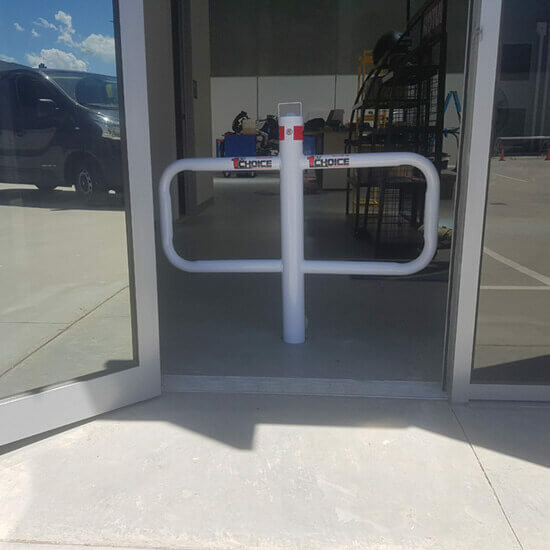 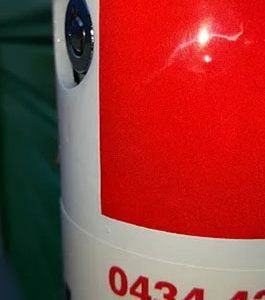 All bollards are supplied with 2 keys and multiple bollards can be keyed alike.